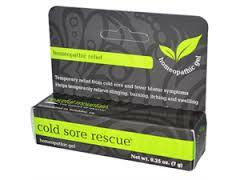 Cold Sore Rescue provides temporary relief from painful and embarrassing cold sores and blisters. Peaceful Mountain has created a soothing gel that may be effective and is a less costly, and a more natural alternative to other cold sore treatments. Herbs such as Poke and Chaparral are absorbed by the skin with no greasy feel. Homeopathic components (Borax, Natrum Muriaticum) specifically chosen for their effectiveness in treating the herpes virus.